In the small coffee-growing community of Piedra Parada, tucked into the highlands of Veracruz, Mexico, a small group of business women are engrossed in decision making: what business do they want to start; which skills do they need to learn; and what are they going to do with the funds they have from their other businesses. 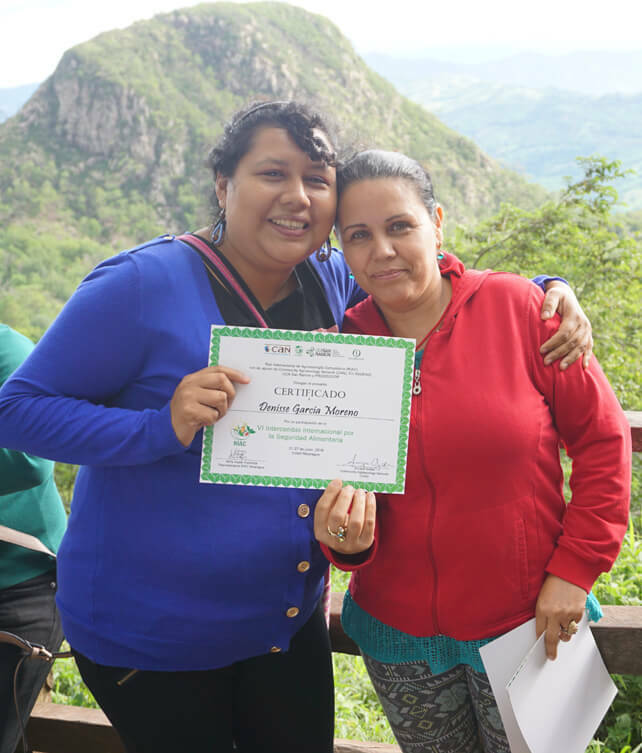 Denisse Garcia Moreno, a community promoter with CAN’s network partner, VIDA (Vinculacion y Desarrollo Agroecologico en Cafe A. C.), proudly ticks off the recent successes of the women-owned coffee nurseries, “We have one nursery with 5,000 plants and another with 10,000. We not only turned a profit from the sale of the plants, we also have a surplus of plants — enough so each of the women will have 200 coffee seedlings to take home to her own coffee plantation.” Denisse explains that the successes go beyond the number of plants they are growing and the profit they are making. Traditionally, men had run the nurseries. The women were marginalized despite their strong involvement in coffee farming. But the women were determined to make their nurseries work, and with VIDA’s help and a healthy dose of perseverance, they persisted and today, the women are running thriving nurseries. From Denisse’s perspective, working with CAN on the Food Security and Food Sovereignty Project (FSSP) was a turning point for VIDA. The group’s purpose is to promote social change by working together with families and communities to support the development of healthy lifestyles and the FSSP gave VIDA, which had been involved in many different projects in Piedra Parada, a focus. VIDA is continuing to work with the women to set up rural microenterprises and enthusiastic about their successes. According to Denisse, the women who are working on these projects are beginning to generate income for the local economy. As their project takes off, the women begin to feel empowered — they can count on the project as an economic resource and they begin to make decisions about what to do with their profits. VIDA’s aim is to create businesses where the women are not only the beneficiaries but also the decision makers. For Denisse, it all hits close to home because she’s not only a promoter for VIDA, she’s also a community member. The businesswomen’s success is VIDA’s success. “We’re all on this journey together,” smiles Denisse. Yadira Montenegro (right) and Denisse Garcia Moreno (left) during the presentation of certificates at Intercambio 2016. 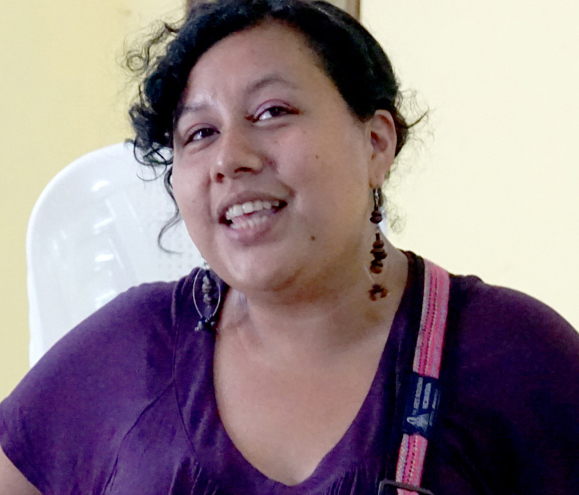 Denisse Garcia Moreno is a coffee farmer and a staff member at CAN’s network partner, VIDA. Denisse facilitated research, design, and financial management of the first women-run coffee nursery for agroecological renovation after a major outbreak of coffee rust (la roya). This story is an excerpt from an interview conducted during Intercambio 2016 by Suraya Arslan, Executive & Programs Coordinator at Community Agroecology Network.